Now, flash forward 10 years — it’s 2019 and the digital advances that have come into fruition over the past decade are vast and mighty. Like your clothing, hairstyle and cell phone from 2009, your website is now outdated. Frustrating, we know. Here are five (of many) reasons why your website needs to be mobile-friendly and responsive in 2019. In 2018, mobile owned about 64 percent of search. This means that 64 percent of your potential customer pool is now looking for your business’s website on their phones. If you provide them with a website that doesn’t work with their preferred search engine, there’s a greater chance they won’t choose to use your business. Making one responsive website takes way less time than making a stand-alone mobile website and it also doesn’t confuse returning customers because everything is always in the same place. Since time is money, a responsive design naturally costs less than the alternative — simply because you’re only paying for one website compared to two. Why pay for two sets of updates on your two different sites when you can have one person just update your responsive site? We can guarantee that if you update the content on the desktop version of your site, it will always correlate to the mobile version. Maintaining a separate mobile site requires additional testing and support. In contrast, the process of a responsive design uses standardized testing methodologies to ensure optimal layout on every screen. Responsive designs “one size fits all” approach means fewer headaches for developers, business owners and consumers. Spending less time on maintenance also frees up time to focus on more important things like marketing and content creation. Mobile users in particular have short attention spans. Studies show that mobile visitors tend to abandon web pages that take longer than two seconds to finish loading. If a site isn’t designed for smartphones and tablets, it can also take more time to navigate, which can frustrate customers to a point of no return. Having a responsive design can help avoid this. Google Analytics is our friend. It can show the demographic information of your customer base, what content on your site is fostering the most attention and how people are responding to you online — all of which are important information and help businesses make informed choices and improvements. Managing multiple versions of a website requires developers to track users’ journeys through multiple conversion paths, funnels and redirects. Having a single responsive site greatly simplifies the monitoring process. Why have your analytics be skewed when you have the opportunity have real-time, accurate reporting? Needless to say, with that much power, what Google says in the search world is what becomes the “norm.” Responsive web design is becoming as important to search engine optimization as quality content. Stronger backlinks and better bounce rates translate into higher search rankings, but there’s now an extra SEO benefit for mobile optimized sites. Are you looking to make your website mobile-friendly and responsive in 2019? The Reimagine Main Street team is here to help! Peek at our “website design & management” page and give us a call today. We promise that the final project will make you as proud as you were 10 years ago. Reimagine Main Street is the full service digital agency of The Observer Reporter. Our goal is to help businesses take advantage of the amazing potential of online advertising and marketing — quite literally reimagining the main streets of our communities. From start to finish, our agency handles everything from building websites, social media management and marketing campaigns, targeted online advertising through Google Ads, virtual tours and more. This stored “data” (web searches, clicks, “likes,” etc.) provides us with demographic information and search patterns of Internet users. Digital advertisers (like us!) use these data pieces (or ingredients!) to deliver to the best, most defined, target audience that we can — thus making these ads the most optimal and impactful as possible. Cookies can store a wide range of information, including personally identifiable information (such as your name, home address, email address, or telephone number.) This is what allows certain websites to remember your shipping address or password whenever you purchase something online. Scary we know; however, this information can only be stored if you provide it. Websites cannot gain access to information you didn’t provide to them, and they can’t access any other files on your computer. In addition, third-party cookies are used for all ad retargeting and behavioral advertising. By adding tags to a page, we can track a user or their device across different websites. That helps build a profile of the user based on their habits, so messages can be better targeted to their interests. This can be compared to a “special ingredient” for us digital advertisers and allows us to deliver ads to someone based on their behaviors and interests that compare to what your business has to offer. These little Internet crumbs allow us to make advertisers campaigns the strongest they can be, as well as allow us to serve up potential customer’s favorite things. So even though they might not be as sweet as a warm chocolate chip cookie, we can assure that the ROI and brand recognition will taste just as great — and be way less calories! Your business’ online reputation happens with or without you — and, in a sense, reputation is a form of currency. 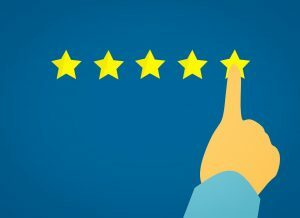 People often check out businesses online, and use the reputation and reviews to determine if they want to go to or use certain businesses. You don’t want to lose a potential customer because you didn’t help lead the conversation about you online. In today’s digital world, however, our reputations are more important — and more permanent — than ever before. Reviews, comments, social media profiles, photos, posts — the list of what we’ve put into the online world is a long one, and this is what shapes search results. But the impacts of these results don’t end on the first page of Google. They impact behavior, decisions and, above all, reputation. With this in mind, we have to learn how to own our reputation in the digital space. Again, potential customers see information about your business that you, as the business, may not directly relate to your reputation. But every key message you put out on the digital world — photos, posts, shares, etc. — help determine people’s perceptions about you. These perceptions will define you. This means that what’s out there matters — and it will continue to matter. Shying away from online platforms is no longer a viable option if you want to actively manage your online reputation or have a well-known business with the younger demographic. Facebook, Instagram and other social media platforms have moved beyond being only social media forums, and now operate as search engines in and of themselves — they also serve as platforms for people to sound off about their experiences and provide recommendations to other users. This means people now utilize these platforms when making purchasing decisions. “Participation” means more than just having a profile that is stagnate. Push out quality, relevant content that tells your story and showcases what you have to offer. 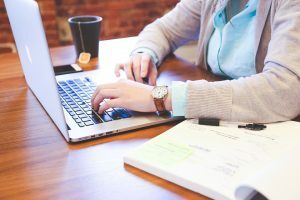 New content does not erase negative past news, but it is essential to building your online presence and maintaining a positive online reputation. Examining the content on your page that generate the most feedback, who your target audience is and what your goals are is key to formulating what your digital content strategies should be. Your participation won’t go nearly as far if you don’t know and understand your audience, as well as your target demographic. First thing to realize is that all content is not created equally. If you want to own your online reputation, first take control of what you are saying, how you’re saying it and whom you’re saying it to. This helps lead the conversation and opinions of who you are. Whether you want to enhance and increase awareness of your brand or get ahead of an incoming crisis, say the right thing to the right people — and say it well. These two small steps can help make your image stronger, while showing people that you’re aware of how your business is being perceived online. Stay Vigilant And Stay Informed. These tips will help you navigate the world of online reputation, but it is a world that is constantly changing. Remain aware of the frequent changes to your own search results, the changes made to the search engines and platforms, and how they operate. 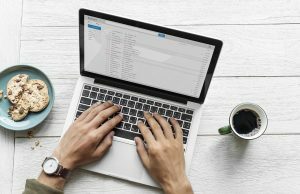 Google, Facebook and Twitter continually update their algorithms, and staying aware of these changes will help you stay ahead. Using a program like our Reputation Management program can help too! You can’t opt out of having an online reputation in today’s world. Instead, you can be proactive, get ahead of common issues and own your digital presence. It’s never too early — and it’s also never too late — to start participating and taking control of your online reputation. 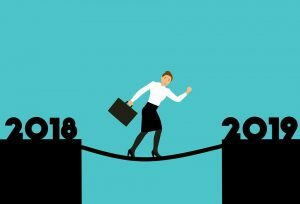 We all know the mantra — “new year, new me” — however, have you ever considered that this can also relate to your business? The start of the new year is the perfect time to consider launching new marketing and advertising campaigns. No matter if you’re considering a website facelift, a new targeted campaign or simply trying new strategies, January is the perfect time. Here are a few things to consider when launching a new campaign. Like most things, you don’t want to jump into something without fully knowing what you’re getting into — digital marketing is no different. Whether you read about the programs online or you chat with one of our team members, you can learn a lot. Educate yourself on what is available and how it is applicable for your business. Clear goals are the key to figuring out what your next few steps should be. By setting your goals and planning measurable objectives in order to accomplish them, you can keep on track for fulfill what you wanted to in the new year. These goals and objectives can also help our team determine which digital marketing solutions would be the most effective for you. See where you compare to your competition. Let’s admit it — we’re all somewhat competitive. That’s why we cheer on our favorite sports teams, play board games and, for some, started a business. Rather than copy what your main competitors are doing, why not see what strategies work for them? Use our FREE digital health report to see where you score compared to your competition. Call the Reimagine Main Street team! As a full service digital agency, we offer a variety of services in order to service any client, with any budget. Our team is dedicated to helping you map out a strategic, comprehensive plan for you business. Call or email us to setup a meeting — we’d love to meet you and help make 2019 your most successful year yet! Congratulations — you made the leap! You finally decided to launch a brand new website! Your web team encouraged you to let them add Google Analytics to your site in order to track where your online traffic is coming from. 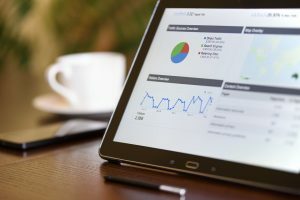 They explained to you that these analytics will be sent to you to see which pages and topics foster the most attention, as well as what information of yours readers most consume. Google Analytics is one of the most popular web visitor tracking tools. 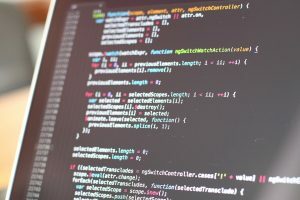 It simply just adds a snippet of code that is placed on all the pages of your website — meaning, unless you log into the backend, you’ll never see the physical coding. Now you’re seeing a monthly report on how many page views, visitors and sessions your website is getting. This blog will help you navigate Google Analytic jargon. Average Session Duration: This is the length of time a visitor spends on your website, measured in time intervals. Bounce Rate: The number of people who visit only one page of your website and then leave by either clicking back to the results page or closing the browser. Click: The single instance of a user clicking on a web link to another website page. Click-Through-Rate (CTR): The number of clicks your website receives in search engine results pages divided by the number of impressions (how many times it is seen) your listings get. Direct Traffic: Visits to your website where the visitor types your URL (web address) into their browser’s address bar or uses a bookmark to get to your website. Direct traffic tells you what percentage of your visitors know your brand and website URL versus finding your website through a search engine or another website. Ecommerce: These reports track visitor actions within your website’s shopping cart of other commerce area of your website. Events: An event can be any action you want to track on a webpage, for example you could track how often a file is downloaded or a video is played. Impression: When your website appears in search results for a particular search query. Keywords: These are the words that visitors used to find your website when using a search engine. This information shows you what searchers are actually looking for when they find you. This also helps you to determine potential new keywords to target. Metrics: Individual pieces of data that can be measured, for example, page views, gender, average visit/session duration. New Sessions: An estimated percentage of first-time visits. New Visitors: People who have not previously or recently visited your site are considered new visitors. If the person has previously visited your website by deleted cookies, cleared their browser history, or visited in private browsing mode, that user will be counted as a new visitor. Organic Traffic: Visitors who come to your website by clicking on the unpaid (organic or natural) search engine results. Paid Traffic: Visitors who come to your website from Google AdWord ads and other online paid ad campaigns. This data will show you how effective your paid online advertising is. Page View: The number of pages a visitor views over the duration of their visit to your website. Page views allow you to see which pages on your site are the most popular. Pages/Session: This is the average number of pages viewed during a session. Sessions: The number of times your website is accessed (this is different from number of Visitors) and the period of time users are actively engaged on your website. Watching the trends in your visits allows you to analyze which aspects of your online marketing are working. Sources: Where the traffic to your website originated as well as what keywords visitors utilized to get there. Traffic: The total number of visits to your website. Traffic can be divided into multiple categories including, direct, organic and paid. Unique Visitor: The number of individual (non-duplicate) visitors to a site over the course of a specific time period. Cookies that are stored in visitor browsers determine this data. Visitor: The number of individuals who viewed your website. One visitor can visit your site multiple times, so you will never have more visitors than visits. We get it — as a digital advertiser you want to be able to see your ads running. You want to be able to see the creative materials to know, with certainty, that your campaigns are launched and that you’re getting the highest ROI possible. We understand that some agencies aren’t transparent with how they’re fulfilling your campaigns or how your reporting works. We understand that you want to maximize your advertising efforts for a budget that’s best for you. Trust me, we really get it. While we can ensure that your campaigns are setup to match the target demographic that was outlined, one thing we cannot guarantee is that a very specific set of eyeballs will see a specific digital ad. So why, as the advertiser, are you not seeing your ad? 1. You aren’t the target audience. Due to the specific targeting capabilities of digital advertising, someone might not fall into the target demographic. There are many factors that the platforms analyze when choosing which impression to bid on — and even if all of the factors are in the right position, at the right time, it could still not workout if someone else out bids your ad for the position. 2. Your budget isn’t big enough. Like most budgeted things, you only get so much when you spend so much. Digital advertising is no different. An infinite budget can reach a lot of people, but not even it can reach everyone. We utilize budgets in order to get the highest ROI, while making the largest impact possible. For example, if you have purchased 100,000 impressions for the month and are trying to reach people on very specific sites, that work or live within a 10-mile radius of your location, there is no guarantee that a specific set of eyeballs will see your ad. Consider that over the 30 days of your campaign, with your 100,000 impressions to run, factoring in the 4x frequency cap per person per day, the campaign will reach 835 sets of eyeballs per day — but, again, there is no guarantee that those eyeballs will belong to a certain person. 3. The Internet is infinite. There are 1,000s of websites and apps available online, as well as millions of impressions. So, even when we target someone down to very specific details, there is no guarantee that a specific person will see your ad. And, on the technical side, the domain you are on must be on one of the exchanges serviced by the platform. 4. Don’t forget about remarketing. For those of you who aren’t familiar with site remarketing, it is a form of online advertising that enables sites to show targeted ads to users who have already visited your site. Also known as retargeting, it reminds customers who may have checked you out or thought about you previously, but may not have moved forward with using your company. With remarketing in place there is a better chance that a specific set of eyeballs could see your ad; however, there is still no guarantee that they will see it. But if your remarketing budget is limited, it can restrict the total number of people that will see this ad. We don’t want to blow your entire display-advertising budget on people that recognize you as a brand and company. Keep in mind that it isn’t impossible to see the ad, but campaigns are meant to reach a target audience, they are not intended to reach one specific person. Reimagine Main Street is the full service digital agency of The Observer Reporter. Our goals is to help businesses take advantage of the amazing potential of online advertising and marketing — quite literally reimagining the main streets of our communities.